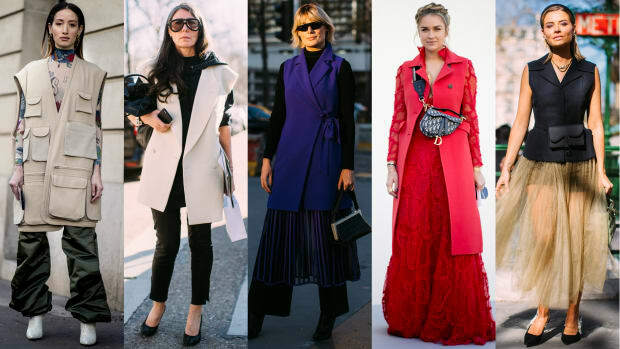 If you&apos;re a showgoer looking to catch a street style photographer&apos;s eye, there&apos;s no easier way to do that than by wearing bright colors — and if you&apos;re dressing for Instagram likes, a rainbow of tones that jump off the screen are a safe bet. 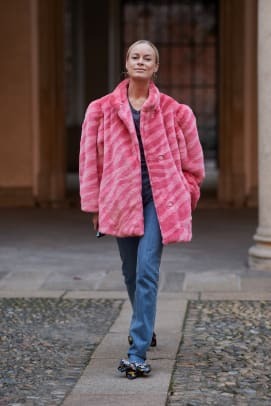 But this weekend at Milan Fashion Week, there were plenty of fashion people who went the opposite direction. 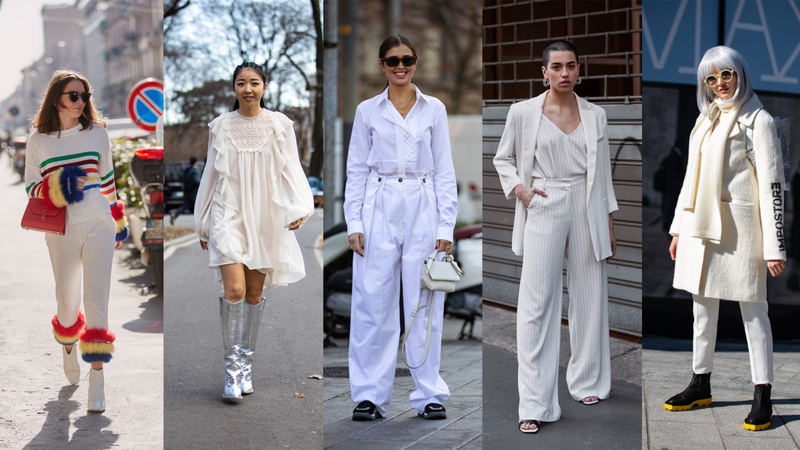 Instead of wearing neon brights, they made statements by wearing all- or mostly-white looks, whether in the form of a gauzy dress, a tailored pantsuit or a matching pants set with rainbow trim to add a little color back into the mix. For those less inclined to draw inspiration from a glass of milk, there were plenty of other motifs that showed up in recurring ways. Over-the-top accessories, from literal crowns to a purse with an analogue clock embedded in it, were everywhere, as were feather trims used to accent dresses and sculptural blazers. Camel-colored-everything and animal prints cropped up plenty, too, continuing trends seen both on the runway and off. 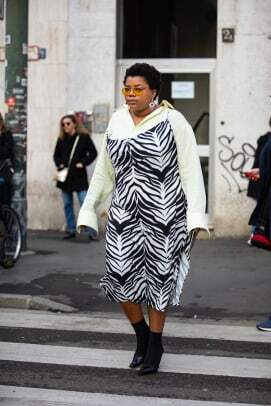 Check out all our favorite street-style looks from the weekend in Milan in the gallery below. 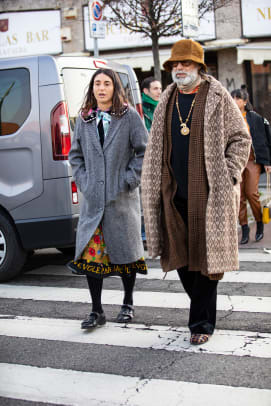 And in case you missed it, catch up on our favorite street style looks from days one and two of Milan Fashion Week below.